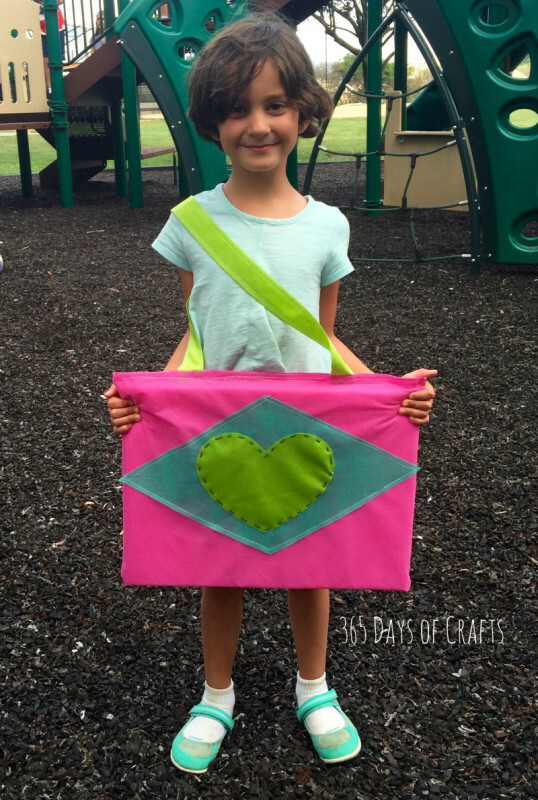 This scavenger hunt bag is perfect for kids anytime of the year! It also makes a great scouting activity for girls or boys. This week is Craft Lightning scout crafts edition and we are sharing 15 minute crafts that are great for scout groups. You can see more ideas at the bottom of this post or catch up with the post from day 1. 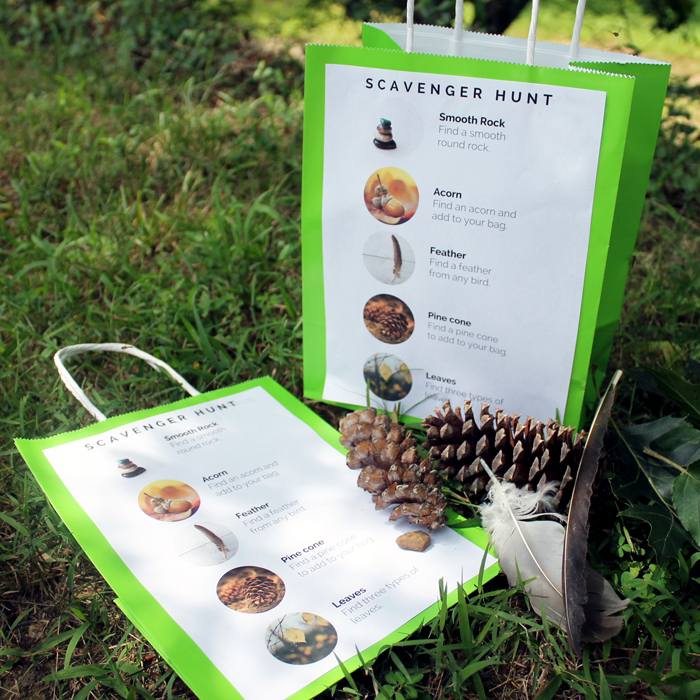 Now get your free printable scavenger hunt page and see how to add it to a bag to collect the goodies! 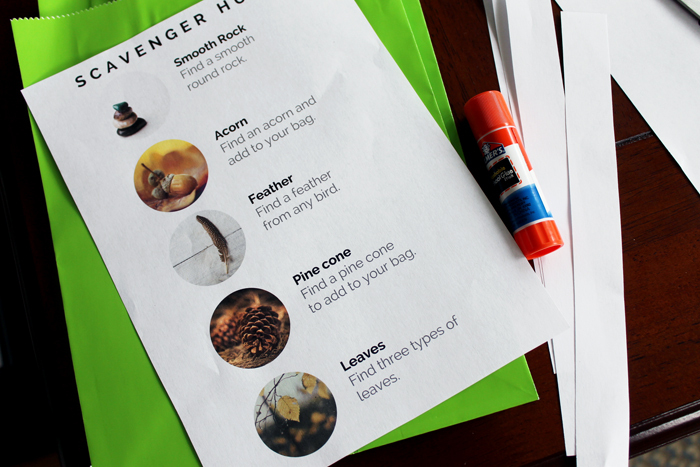 Print the scavenger hunt page onto plain paper then trim around with scissors to fit your bag. Then use a glue stick to attach the paper to the front of the bag. 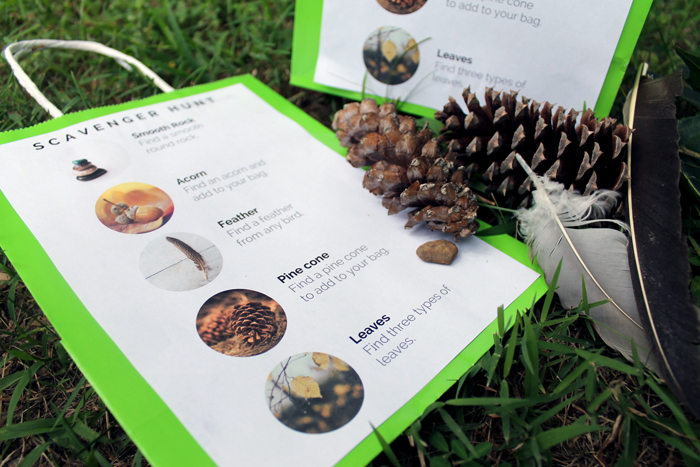 The actual making of the bag can also be a scout craft leading up to your nature scavenger hunt! 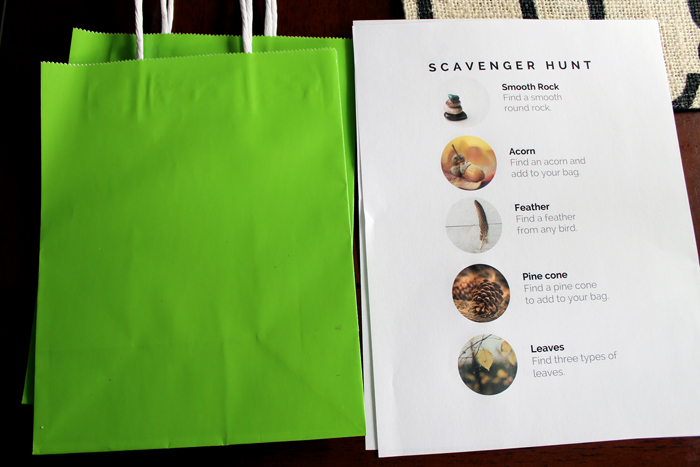 Allow to dry and your scavenger hunt bag is ready for some fun! Use the bag to collect the goodies along the way. Come back with a bag full of nature’s treasures! Don’t like these scavenger hunt items or looking for something more complicated? Print your own list and attach it to a bag as shown. 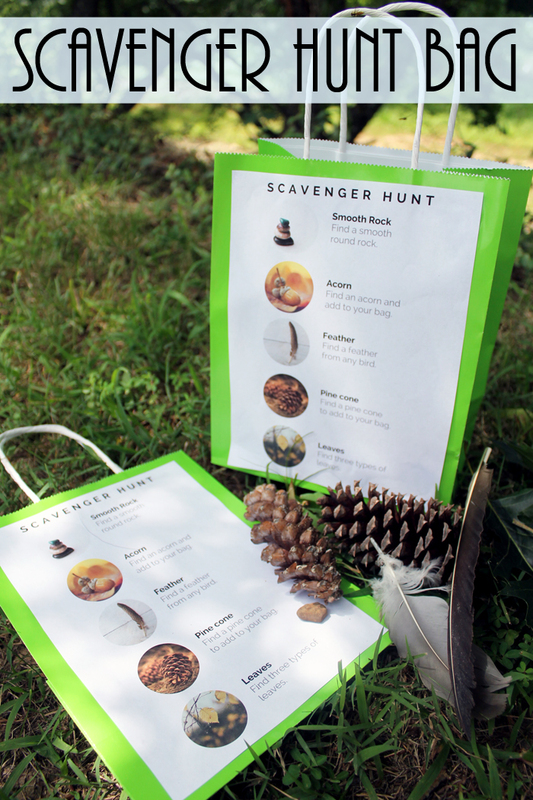 You will have your own custom scavenger hunt bag in minutes. This is a great craft project plus an activity for a scout group of any age! Need more quick and easy scout craft ideas? 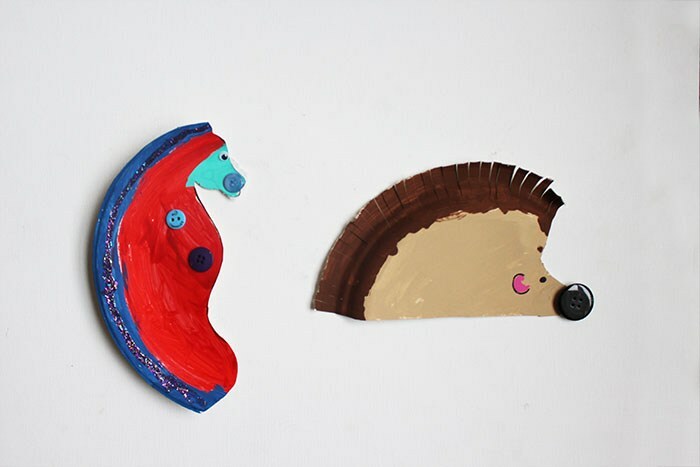 Check out today’s crafts below from our blog partners! 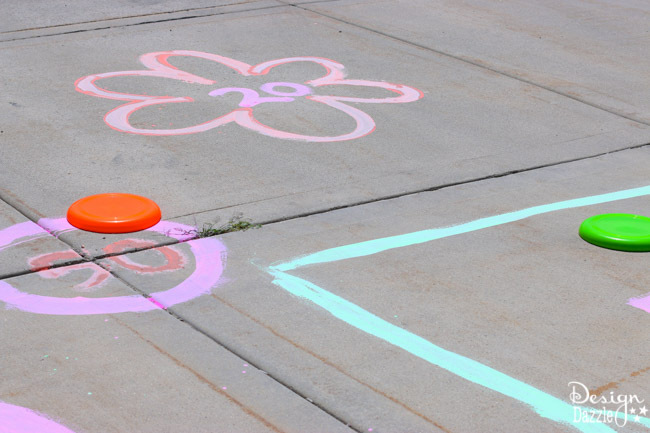 First up is Design Dazzle with a fun game that just requires washable paint and frisbees! Grab some paper plates for a fun craft idea from Brooklyn Berry Designs. If your scouts need a place to sit, try making these sit upons from 365 Days of Crafts. 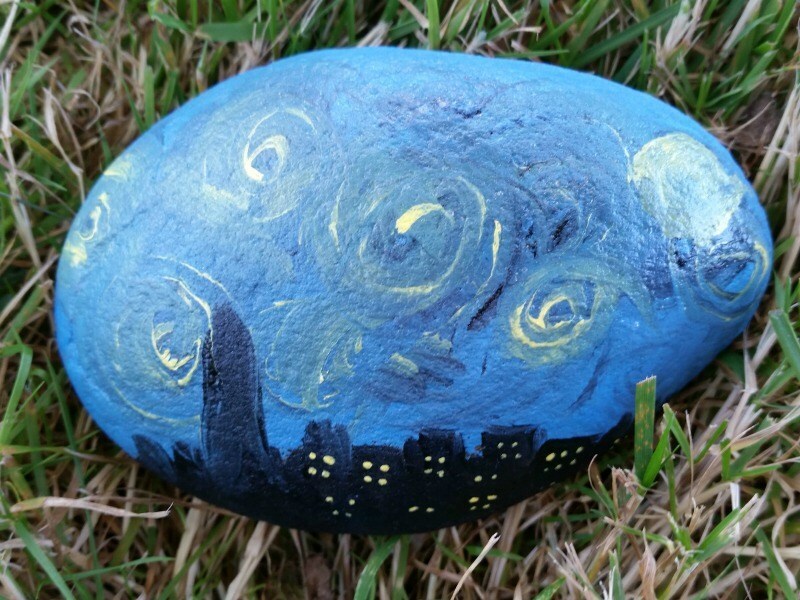 Painting rocks can be a fun and inexpensive activity plus they can beautify the community! Let My Craftily Ever After show you how! My long time co-host for this series is 30 Minute Crafts and she has a fun mini first aid kit project today. 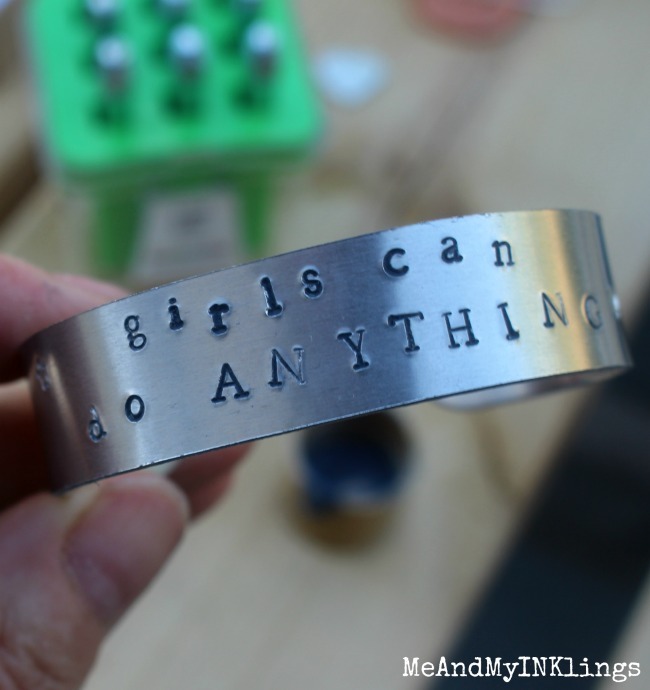 Our guest co-host this round is Me and My Inklings and her stamped jewelry for girl scouts is just adorable! Add these quick scout crafts to your list today! You can print the printable for the scavenger hunt bag or click over to any of the other ideas. Your troop will love it! This is such a great idea, Angie! I showed your post to my great-nieces yesterday and we made one in PicMonkey for a family party we are having in August. The girls customized one for each of the kids by putting their names on it and making a border around the Scavenger Hunt page in the child’s favorite color. They loved it so much and are now thinking of other games for our family reunion. Thanks for the wonderful idea! To have outdoor Ethics on our Webelos Walkabout requirement and to obey the “Leave No Trace Principles for Kids” our scavenger hunt is a check list without collecting the item. That way we can include sighting a type of bird or particular animals, water, different plants, trees, insects, etc. on our check list. We take fun pictures! That way we “Leave what you find” where it is! A good way to enjoy the outdoors responsibly don’t you think? 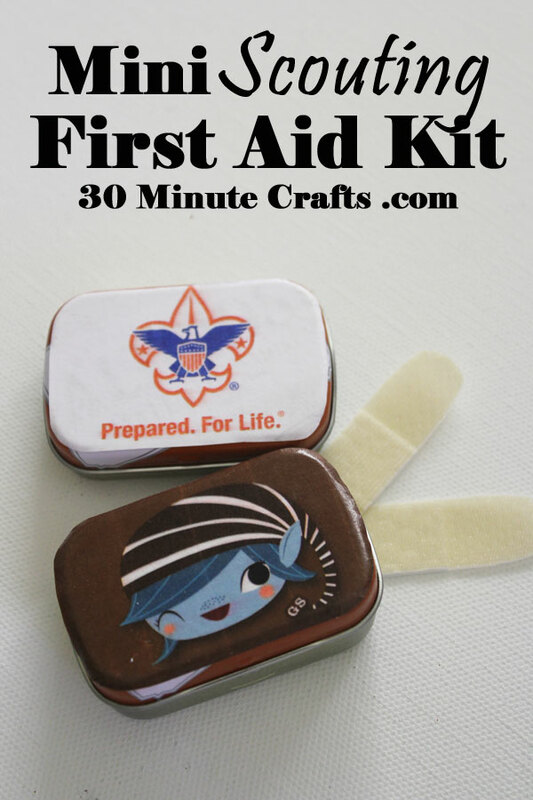 And…Thanks for the first aid kit idea!